Introducing one of the most famous characters in literature, Jean Valjean – the noble peasant imprisoned for stealing a loaf of bread – Les Misérables (1862) ranks among the greatest novels of all time. In it Victor Hugo takes readers deep into the Parisian underworld, immerses them in a battle between good and evil, and carries them onto the barricades during the uprising of 1832 with a breathtaking realism that is unsurpassed in modern prose. 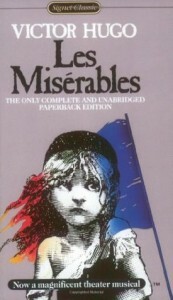 Within his dramatic story are themes that capture the intellect and the emotions: crime and punishment, the relentless persecution of Valjean by Inspector Javert, the desperation of the prostitute Fantine, the amorality of the rogue Thénardier and the universal desire to escape the prisons of our own minds. Les Misérables gave Victor Hugo a canvas upon which he portrayed his criticism of the French political and judicial systems, but the portrait which resulted is larger than life, epic in scope – an extravagant spectacle that dazzles the senses even as it touches the heart. This Signet Classic edition is a new version translated by Lee Fahnestock and Norman MacAfee, based on the classic nineteenth-century Charles E. Wilbour translation. Just so you know, I never had any intention of reading Les Misérables. I have a friend who talked about rereading this book last year for research before NaNoWriMo season came around, and I remember vaguely wondering how can one reread such a thick book. I had no intention of reading this, thinking that my life can remain untouched by this tome, until some friends from the book club started a reading support group for the unabridged book. I still didn’t join them, but I applauded them for their efforts. Until…one day, I wandered around the thread, and saw their discussion. And then the briefest of brief thoughts came into my mind: Maybe it won’t be so bad reading such a thick book if you have friends reading with you. And then, Maybe it’s not so bad. You’ve read A Game of Thrones and The Historian and what’s a few hundred pages more? Then my friends started inviting me to join them, and I felt like giving in. It could be an interesting challenge, right? So finally, by end of 2012, I said yes. Angus gave me a copy of the unabridged version and I started reading it by January 1. If you’re like me who has no idea what Les Misérables by Victor Hugo was (I know, I know — I was living under a rock all my life), this is the story of Jean Valjean, an ex-convict who was shown mercy when he least expect it, but is chased by his past even if he tries to change his present. There’s a lot more to the story than that, of course, but that was the main story arc. I never watched any of the musicals, or the first movie with Liam Neeson. I have zero expectations and I knew very little in the story — only fragments of a discussion in a college Theology class, and the knowledge of the song On My Own, because who doesn’t know that song? The goal was to read as much as I can in the book until we had watch the movie. I wasn’t dreaming of finishing the book before the movie because that gave me about 16 days to just read, but I wanted to reach at least halfway. I didn’t. I watched the movie, got spoiled and tried to read again. My reading progress was slower, because I knew what was going to happen (and this is going to be another post in itself! ), but I was in too far into the book to drop it. 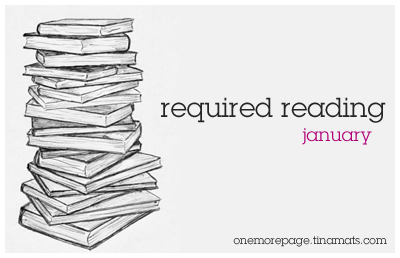 A half-read book is a half-finished love affair, right? Until finally, exactly 45 days since I started reading Les Misérables, I finished it. If you think watching the movie is enough for you to know what Les Misérables is all about…well, no. There’s so much in the book that wasn’t in the movie and it makes several characters stand out on their own a bit more. For example: Marius in the movie was shown as a revolutionary, but in the book, he wasn’t. Not as much as Enjolras was, anyway. Marius just wanted to show his grandfather that he can make it on his own, and then he falls in love. Which is also another thing — in the movie, Marius and Cosette just made eyes at each other, but in the book, there was a longer and slightly more interesting “courtship” between the two of them. And there were the other characters that we hardly got to know, as well as Jean Valjean’s whole thought process throughout the novel. The book gives the characters and the story so much more depth, making the sad scenes a bit more heartbreaking and the victorious scenes mean so much more. OMG! Internal squeals! I’m recharged. I decided to read this bit by bit (I restarted last night). 1% a day is fine with me, as long as I finish this love affair. I’ve got this one on my bucket list. I’ve banned myself from watching the movie or any adaptations beforehand. I love Legend, which the author drew inspiration from this book. Such a long book! I’ve heard from a few people that those boring parts do have a pay-off. Glad to see that was the case with you too. :) Congrats on conquering this behemoth! Woo, welcome to the unabridged group, Maria! :) I’m not sure if you’ll cry more in the book (I did shed some tears, but not as much as I did in the movie), but the book has a different punch. :) Good luck!